Now that we have all our content squared entered in, we can use a view to display that content as a list. In this video we create a view and explain what settings the Views wizard sets for us and how these settings can be modified later. The next thing we need to do is to create a list of this content. Let's go back to the wire frame of that. This was our fifth step Tour Types wire frame. In Drupal, to create a list of content almost all of the time you're going to use a module called Views, which comes with core Drupal. 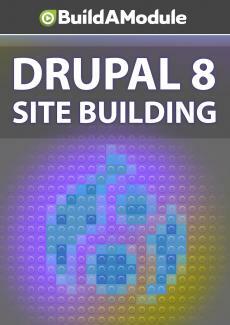 Views is extremely powerful and flexible and you'll find it's probably the single most complicated piece of configuration in Drupal. Once you get used to it, creating basic lists of content is very easy to do. In this case what we want to do is list the Tour Types in a particular way that's a little different than the way they display on their individual pages. So we're going to use a view to do this. We're going to go back to our site, we're going to go to Structure, Views. This lists all of the views that are currently being used on the site. And this can be interesting to look at. Basically every time you see a list of content, it's being created by Views. Our homepage for example, is created by the Front page View here, that's the one that we are overriding now. What we want to do now is to create a new view for our Tour Types. This first part is a wizard that sets up basic settings for our view. So it accelerates the process that would normally be taken to complete the basic steps of setting it up. So we'll fill this out for the name. We're going to call it Tour Types. For the view settings we're going to show content. You can see that there's a list of other options here and we'll talk about some of those later. We want to do just Tour Types and let's sort it alphabetically by title. In this case we want to create a page. We'll leave the page title at Tour Types like what it is in our wire frame. We'll leave the path for now. And in the display format, we'll leave it as un-formatted list. You can see that we can also choose Table, HTML list, or grid. But instead of Teasers, we're to select Fields.